A photo session with Siddalee Photography is a fun experience! Children can be shy, and having photos taken can be intimidating. So when Carly's Mom let me know of her concerns, I could reassure her that I would make Carly at ease and capture her personality. With tailored photo sessions that highlight the hobbies and passions of my clients, I ensure that their personalities are captured in a unique way. 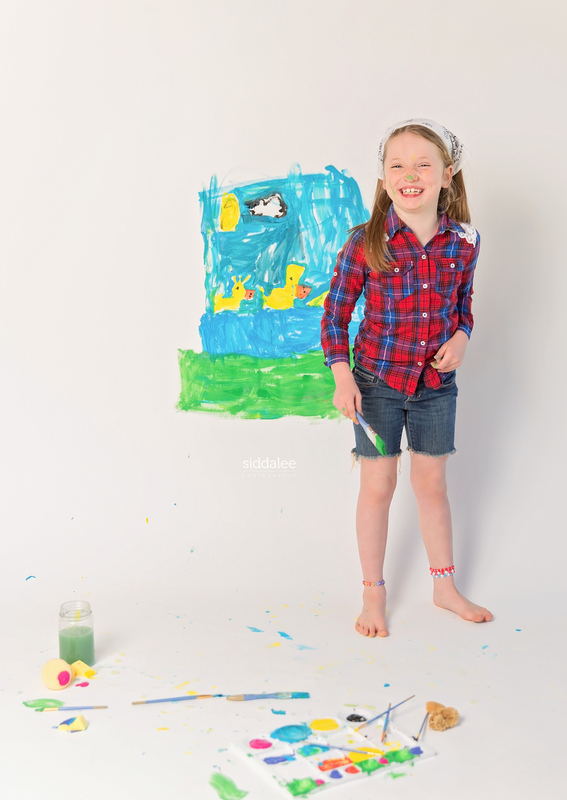 Carly loves to paint, so I knew just what we would theme her birthday photo session around. Painting! She had a blast, and I love how it turned out. We also captured a few of her with balloons for that classic child portrait that will hang on the wall year round. 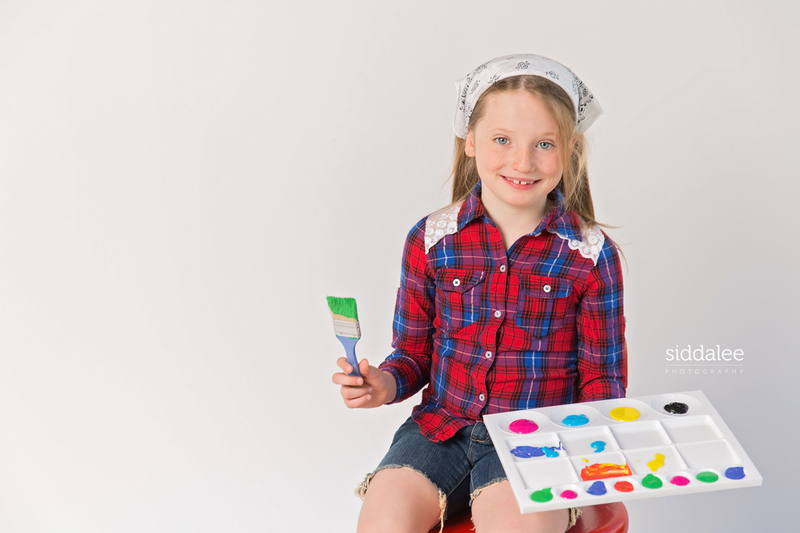 Carly had so much fun painting, she had to take her finished product home. I can't wait to reveal her gallery to her Mom when she picks out her favorite photos at the in studio gallery reveal! Doesn't she look just like an American Girl doll? I adore her so. Make sure to book your portrait sessions soon, whether it be on location or at my portrait studio in Linthicum, Maryland. Reserve your spot today!